Have you ever visited a restaurant and said to yourself: “I like ready-to-eat food here, but how can I do more work?” Then this news may be of interest to you: Chick-Fil-A will be offering meal kits. 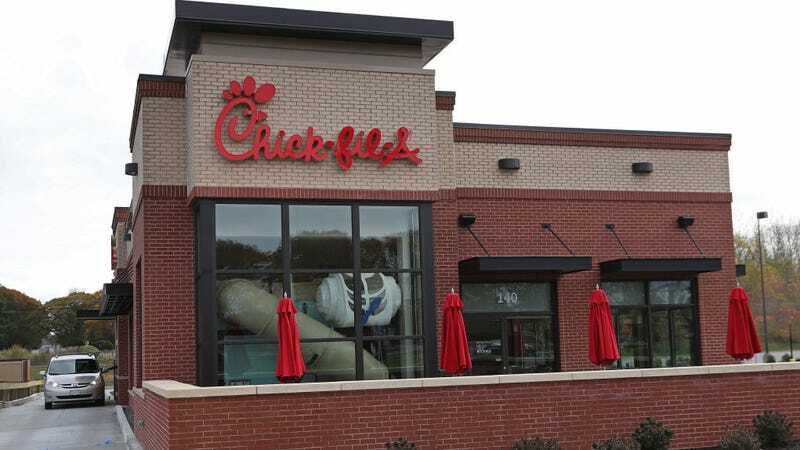 Chick-Fil-A, a fast food chain that takes the labor-intensiveness out of frying chicken at home by selling you a finished chicken sandwich you can readily consume, will be unveiling a take-home meal kit you can purchase at the restaurant, Eater reports. These meal kits, however, will bear little resemblance to what you may find at the restaurant, outside of the fact that they feature chicken. Business Insider reports that the meal kits—which will only be available in the Atlanta area, for now—will feature chicken parmesan, crispy Dijon chicken, chicken enchiladas, pan-roasted chicken, and chicken flatbread. Rather than the immediate gratification of buying two perfectly delicious crispy chicken sandwiches and a side of waffle fries, you can pay $15.89 for a box and put in half an hour of work once you return home. Your choice. Beer Of The Week: Why did it take so long to put Anchor Steam in cans?